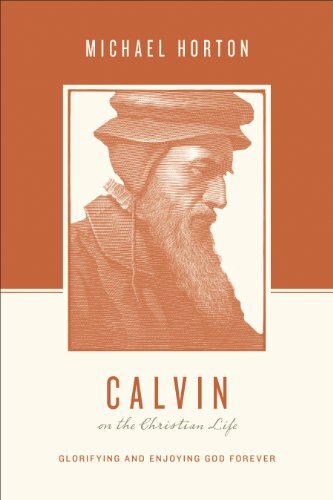 I've espoused my enjoyment of Michael Horton's book Calvin. I stated that there were multiple passages in the book that were simply excellent. One of these passages was concerned with the preaching of God's word. Context, I have always had a soft spot for charismatics. To a certain degree I still do. Most of my leniency has come from my perspective on the preaching of God's word. I have always held an exceptionally high view of act with respect to its purpose and power. Subsequently, I presumed I was closer to a charismatic view than a traditional Reformed view. Like the other Reformers, Calvin understands the word of God in three senses. Only Jesus Christ is the eternal Word in his very essence. Only Scripture is God’s inerrant and normative Word. However, preaching is the “sacramental Word”—that is, the word as the means of God’s work of judging, justifying, renewing, and conforming us to Christ’s image. Through his Word, God is truly present in the world. In evangelical circles we typically think of preaching as teaching and exhorting. Of course, Scripture informs, instructs, explains, asserts, and commands. Yet for the Reformers, the preaching of the Word is more than a preacher’s thoughts, encouragements, advice, and impassioned pleas. Through the lips of a sinful preacher, the triune God is actually judging, justifying, reconciling, renewing, and conforming sinners to Christ’s image. God created the world by the words of his mouth and by his speech also brings a new creation into being. In other words, through the proclamation of his Word, God is not just speaking about what might happen if we bring it about but is actually speaking it into being. Hence, Calvin calls preaching the sacramental word: the word as a means of grace. Faith comes by hearing the Word—specifically, the gospel (Rom. 10:17). Thus, the church is the creation of the Word (creatura verbi). Through the lips of a sinful preacher, the triune God is actually judging, justifying, reconciling, renewing, and conforming sinners to Christ’s image. Boom. This happens each and every Sunday. Stop and ask yourself if you attend service and think of the sermon this way. Does your pastor think of the sermon in this manner? I could pontificate more but it really wouldn't help. Just enjoy Horton addressing Calvin. Then go buy the book!